Version 4.1.1 has just been released with an update to leaflet.js 1.4.0 (“the engine of Maps Marker Pro”) as major highlight. We also fixed a bug for Google layers which could result on maps not being loaded properly especially on zoom levels 0-2 and during panning. Last but not least we also fixed a bug for the Google XML sitemap plugin integration which resulted in maps not being added to the XML sitemap. If you experience any issues, please search our knowledge base or submit a helpdesk ticket. If you try to update from v3.1.1 or lower, please see this user guide in our knowledge base for installation instruction and a migration tutorial. Click here for a tutorial on how to verify the integrity of the plugin package (recommended if the plugin package for a new installation was not downloaded from https://www.mapsmarker.com – verification is not needed though if the automatic update process is used). 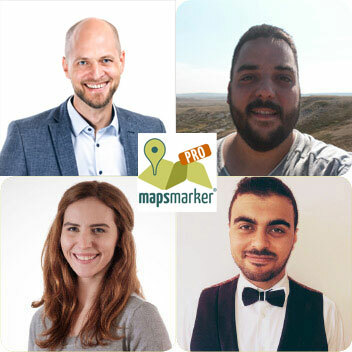 If you want to keep up to date with the latest Maps Marker Pro development, please follow @MapsMarker on twitter (= most current updates) or on Facebook, subscribe to news via RSS or via RSS/email.